WCPO takes a look at what has changed since the ban on homeless camps in Cincinnati. CINCINNATI — Tugging at her sweater during her first interview in months, a woman who goes by Sunshine apologized as she pulled. She had been in the same outfit for days, she explained. Her sweater’s neckline was more modest at first, but her clothes stretched the longer she wore them. Less than a year ago, Sunshine and her husband were both employed. They paid $725 a month in rent and had enough money to eat out as often as they wanted. That was just as the region’s attention turned to the Downtown homeless camps, when the city of Cincinnati began a series of 72-hour notices requiring homeless people to move the tent cities they had established. It’s how Sunshine became an outspoken advocate for the community that she and her husband joined out of necessity. RELATED: Cincinnati’s tent city: what have we learned? 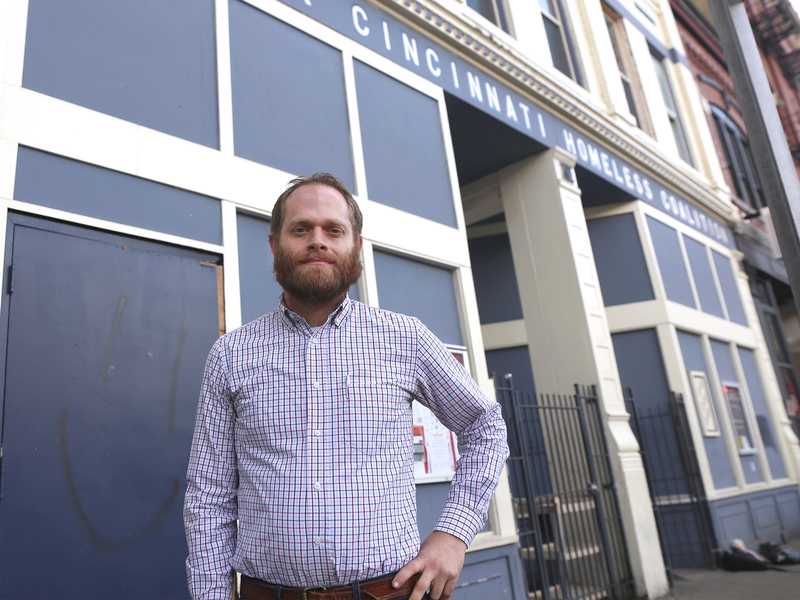 The same cannot be said for Greater Cincinnati’s struggle with homelessness. 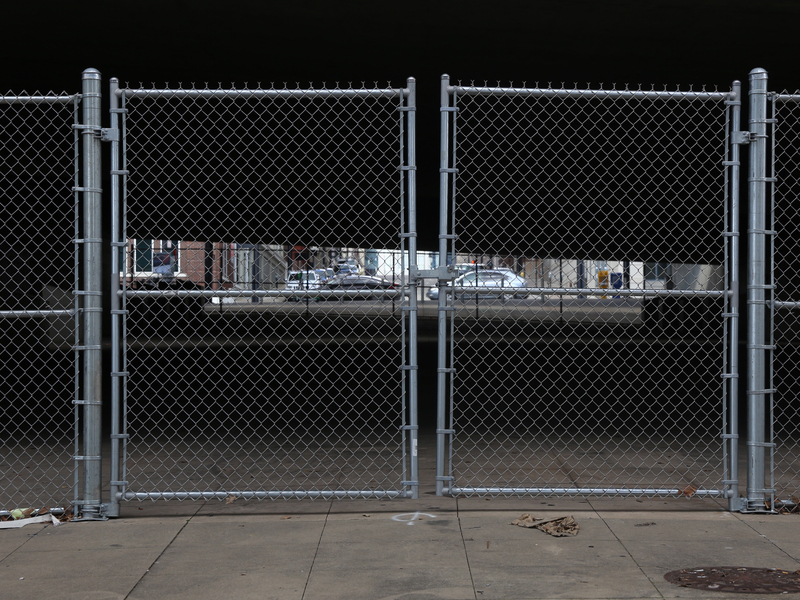 • The city recently hired a local firm to develop recommendations for how to help homeless people that can’t -- or won’t -- go to homeless shelters. • Cincinnati City Council approved the creation of an Affordable Trust Fund late last year but hasn’t finalized how to generate money for it yet. • City council voted this month to create a new eviction prevention program and has money allocated for it but now must find a social service organization to run it. Things are moving in the right direction as far as Downtown residents are concerned, said Sue Byrom, the president of the Downtown Residents Council who was outspoken about her concerns last summer. “I think having what we feel is our city back the way it was and the way we’d like it to stay is one of the biggest things,” she said. None of that, however, has made much difference for people experiencing homelessness or those who work most closely with them. “For Shelterhouse, absolutely nothing has changed,” said Arlene Nolan, who runs the county’s largest homeless shelters for single men and women as executive director of Shelterhouse. 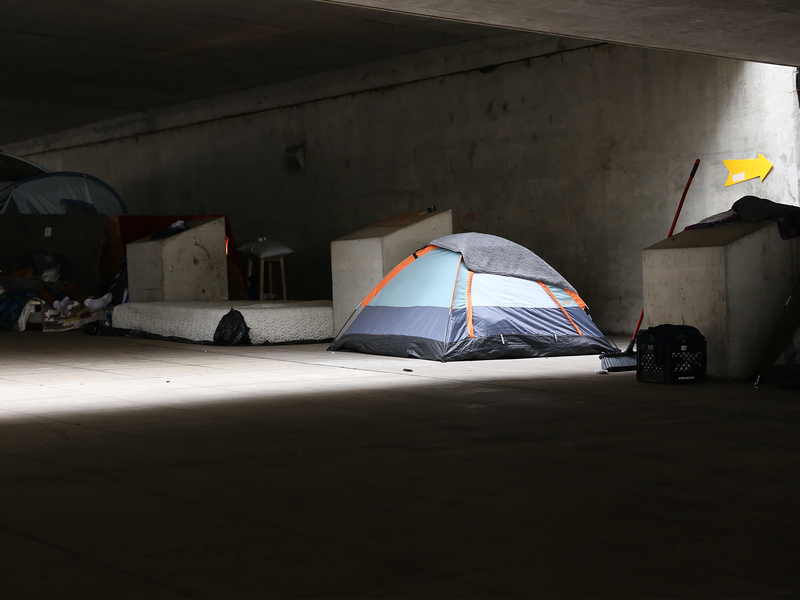 The controversy that erupted July 16 at the encampment beneath an overpass at Third and Plum streets escalated into a series of moves and, eventually, a countywide ban against homeless people sleeping outside. The ban applies only as long as homeless shelters in Hamilton County have space. But the question of how much room the shelters have is more complicated than it sounds, said Kevin Finn, CEO of Strategies to End Homelessness. The ban stemmed from a lawsuit Hamilton County filed against the city after Mayor John Cranley asked Hamilton County Prosecutor Joe Deters for help clearing the camps. Lawyers for the ACLU of Ohio have challenged the ban, arguing that the county’s lawsuit against the city didn’t involve the people most impacted by the action and that it was improper from the start. A hearing on the matter is scheduled in Ohio’s First District Court of Appeals on Jan. 23, Mead said. 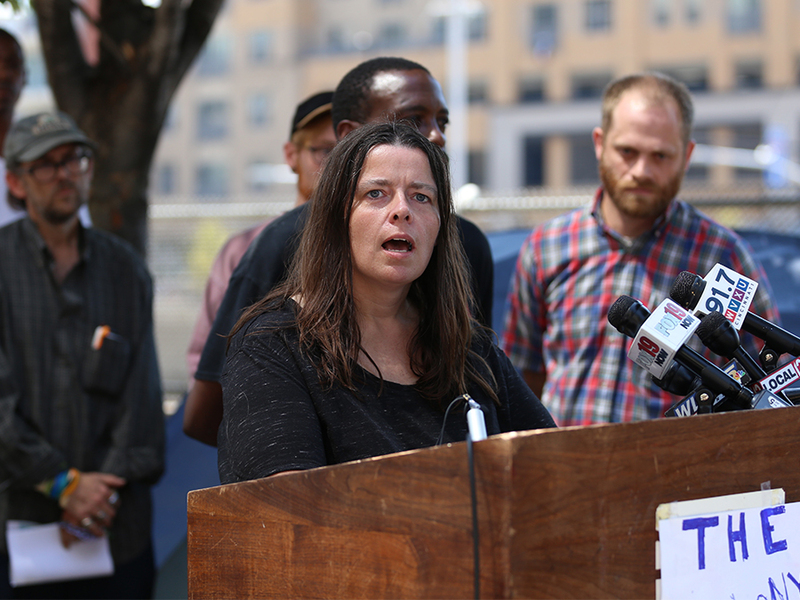 Residents of the encampments and the Greater Cincinnati Homeless Coalition also filed a legal challenge in federal court, arguing that living outside is a constitutionally protected form of expression. Josh Spring, the coalition’s executive director, stressed his organization isn’t advocating for people to live outside. Rather, it’s fighting for their right not to be threatened because they don’t have any other viable options, he said. Finn said he doesn’t think any of the lawsuits will amount to much of anything. That’s why Finn said he isn’t interest in supporting anything that encourages people to stay on the streets. Even so, there always are homeless people who refuse to go into shelters. Sometimes that's because of shelter policies or because they have had bad experiences in shelters in the past. Street outreach workers gave Finn’s organization the names of 40 people who were homeless and staying at the encampment at Third and Plum streets last summer. Of those, Finn said seven moved into housing that outreach workers helped them secure. Three others got offers for housing. But one of them was incarcerated, Finn said, and two went missing and couldn’t be located. Here's what Finn said happened to the remaining 30: 10 didn’t provide enough information for outreach workers to track them; 17 are either still sleeping on the streets or were until recently; and three have “disappeared.” They never entered a shelter or housing program, and outreach workers haven’t been able to find them again. The number of people living outside has decreased steadily in recent years, Finn said, but hasn’t been eliminated. “There are always some people who are out on the street, unfortunately, who we can’t seem to lure inside,” he said. Cincinnati City Councilwoman Tamaya Dennard has been pushing for the city to create a working group to suggest ways to help those who can’t -- or won’t -- go to homeless shelters. Creating the group has taken much longer than Dennard expected, she said. But the city has finally contracted with Madisonville-based Design Impact, where Dennard works as a contractor. Dennard will not be helping to facilitate Design Impact’s work, she said. The goal is to make sure the group includes people who have experienced homelessness, Downtown residents and business owners and others with direct experience, she said. 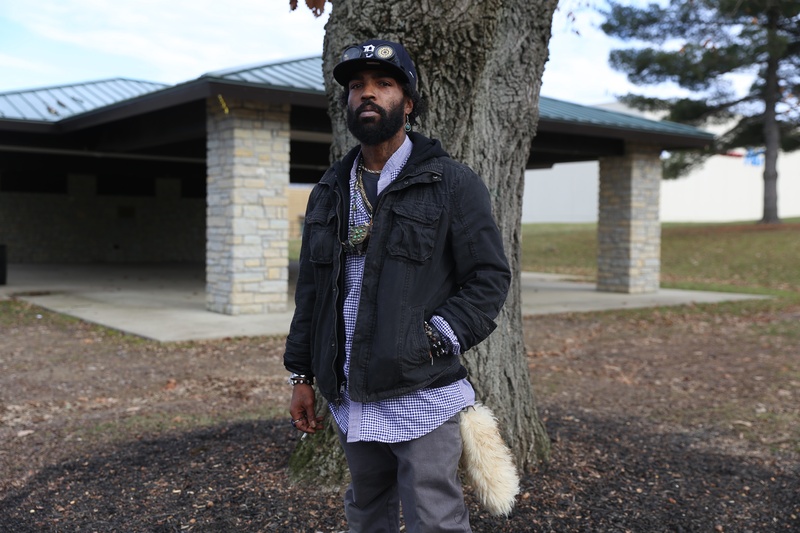 Bison, who became known as the mayor of the camp at Third and Plum streets, wants to see city leaders consider establishing a campground of sorts, with trash receptacles and portable toilets where people could live outside without being hassled. Eugene Davis said he thinks job creation is the answer. Davis started staying at the Third and Plum street camp in late June, just weeks before the controversy erupted. At the camp, Davis slept on the ground and got up each morning around 3 a.m. to look for work at a temporary agency, he said. He still doesn't have his own apartment, but he's one of several men from the camp staying with a friend who does. The working group aims to deliver its recommendations to city council by spring. Dennard said she wants the city to respect that idea of community even though it’s different from what most other people experience. That’s what Sunshine and her husband thought. He goes by the name Darkness. The tent city along Third Street became a second family to them, they said. The people there kept the camp clean and looked out for each other. It’s been rough for Moe Carrier, too. 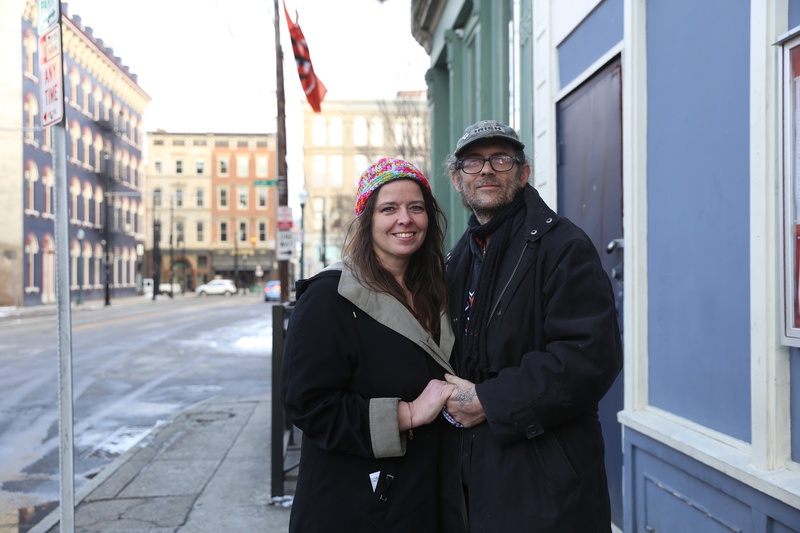 She and her fiancé spent years on the street and many months at the camp at Third and Plum streets before moving to their new apartment on the east side in late October. 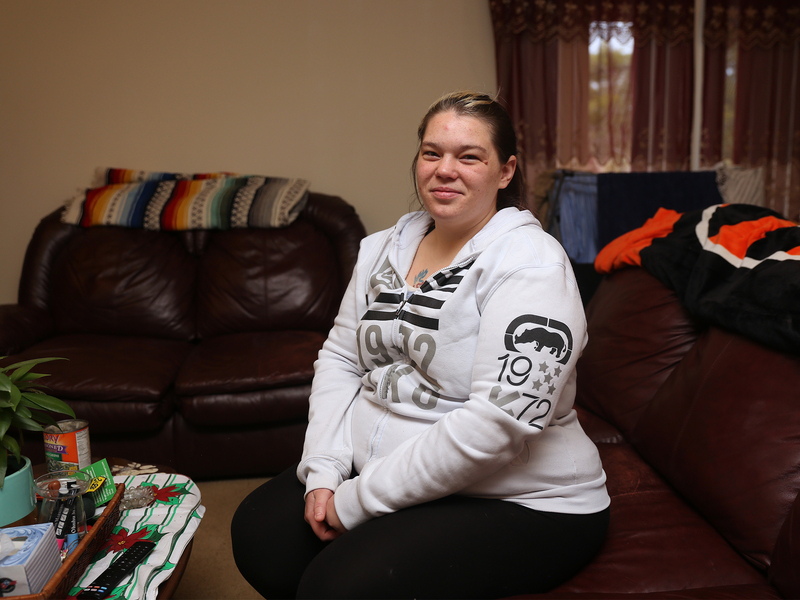 Carrier blames drug addiction for her homelessness. She quit smoking crack and is in recovery now, she said. She wants to get stable enough to get her daughter and twin sons from her mom and start raising them herself. Carrier has a part-time job at LaRosa’s but doesn’t yet earn enough to buy groceries or pay for the coin-operated laundry in her building. 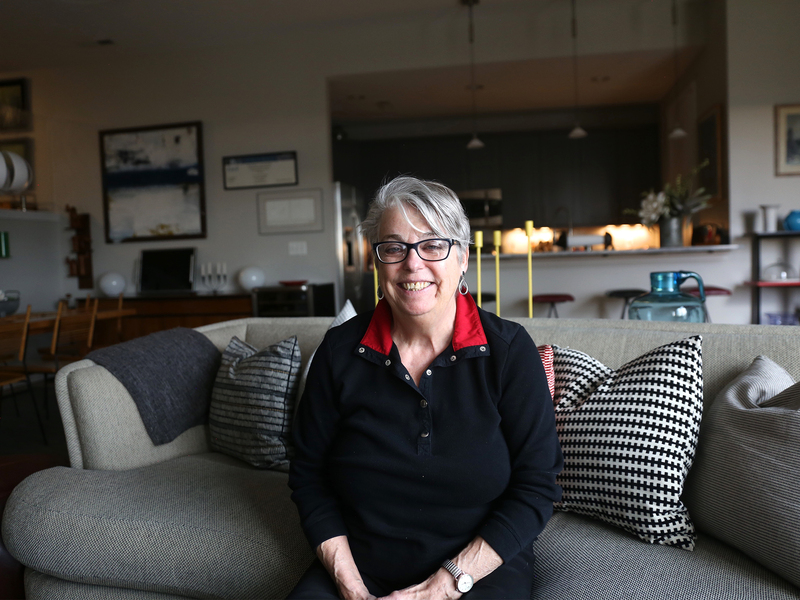 “I don’t have a lot of funds to, I guess, live comfortably,” she said. Carrier said she’s starting to feel like her life is on the right track but worries about the people from her camp that are still on the street. Outreach workers and advocates have been doing their best to keep up with everyone from the camps. Samuel and Susan Landis of Maslow’s Army know where some people are staying outside and are trying to encourage them to enter recovery or shelters. Housing advocate Brian Garry helped Carrier search for an apartment and gives odd jobs to Davis and his friends. Garry said he’s proud of Carrier and disappointed that Davis still doesn’t have his own place. Garry is even more disappointed that all the controversy over the summer didn’t result in more from the city, he said. 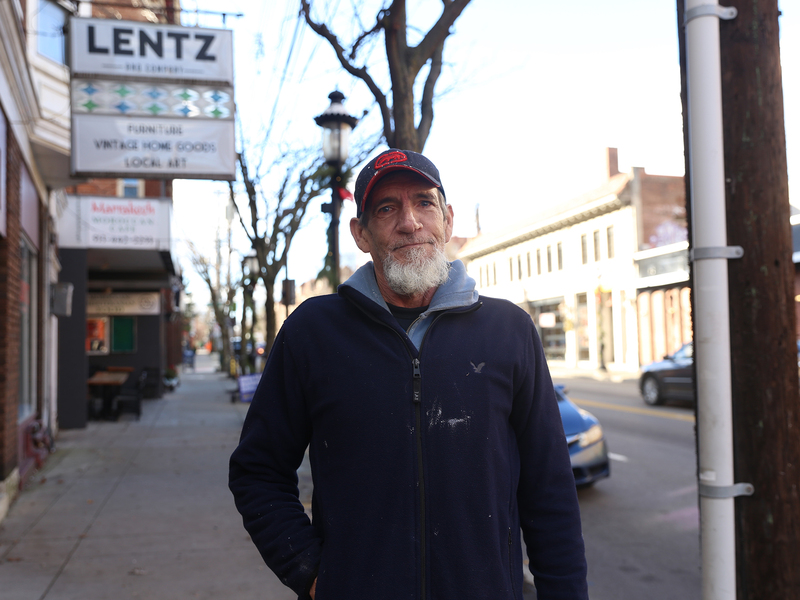 Garry said he hoped city officials would allocate more money to combat homelessness or fully fund the winter shelter, which still is struggling to raise money for extra space that Shelterhouse provides during the cold months when fewer people sleep outside. Sunshine said she and her husband expect to get housing soon. She remembers when she worked as a paramedic, how harshly she judged some of the people she treated. She understands now how quickly fortunes can change, she said. Once their lives are more stable again, Sunshine and Darkness want to help their friends who are still struggling on the streets. Darkness smiled at his wife and broke his silence. “Amen,” he said.